Hatred many a time has no basis. It’s the philosophy of dislike that foments unrest, sometimes leading to dangerous consequences for the person or the group hated. Hatred is simply unassailable, and any person or group hated is not advised to convince the hater, as the hating instincts cannot be sublimated into love or intimacy. Hatred is a complex phenomenon, many a time based on false pretexts, which are created to generate hatred in order to spew venom and target the person hated or resented. It is against this backdrop that Muslims in the country are reduced to the object of intense hatred on one pretext or the other, and are easily targeted, as they are on the weakest turf. It’s easy to target the weak on dubious reasons, with unsavoury consequences. Cow protection has become the new brand of hatred to target Muslims. For targeting Muslims any card could have been played. This time around it is cow protection. Had there not been cow protection there would have been some other theme. Ironically, India is the largest beef exporter. There are beef-consuming states like Goa and in the North-East. No less significant is the fact that bulk of Muslims avoids beef consumption due to hygienic and biological reasons. It is avoided, as beef is hard to digest. Muslims also avoid beef consumption, as they don’t want to hurt the religious sentiments of others. Even Muslim hotels display boards like “No Beef”. Even Emperor Babar is known to have asked Humayun to see that no beef consumption is allowed. Notwithstanding Muslims avoiding beef consumption, murderous assault on Muslims in the name of cow vigilantism continues. It is the communal atmosphere of discord and hatred against Muslims that has prepared fertile ground for cow vigilantes to target Muslims. The latest incident was of Akbar Khan or Rakbar Khan, who was allegedly attacked by a group of cow vigilantes. He succumbed to his injuries. In his dying statement, he told the police that he and his friends were walking back to their home when they were attacked in Alwar, Rajasthan. Mob accused them of being smugglers, of taking cattle for slaughter. But where was the evidence? Cattle might have been taken for milk business, or for farming, or some other work. The question is, who has given the licence to the lynching mob to kill someone? What is the use of the criminal delivery justice system when mob is allowed to take law in its hands? What is the relevance of courts and law enforcers, when instant justice is delivered by violent mobs? 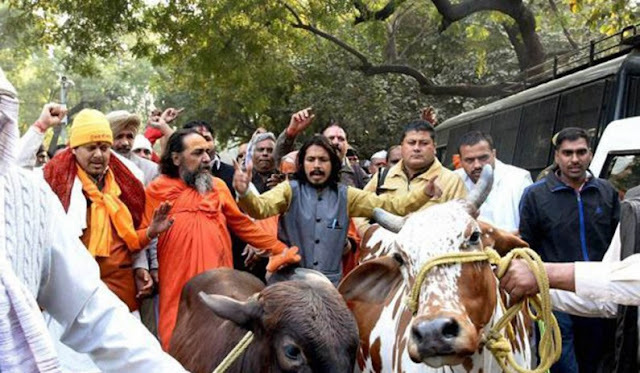 Jumping into the fray was Uttar Pradesh chief minister Adityanath Yogi, who said that his government is committed to ensure the protection of cattle from smuggling and slaughter. True, the government cannot escape its responsibility of protecting cattle, but the fact remains that mob violence needs to be curbed, as it is crossing all limits, particularly in North India. He also said that incidents of mob lynching were being “highlighted too much”. Does it mean that the murderous assault is to be taken lightly? What would be the plight of those whose kith and kin are killed mercilessly? Would Yogi step into their shoes and feel the magnitude of the gruesome tragedy? Is murder a minor offence? Don’t near and dear ones of victims deserve sympathy? The Supreme Court recently expressed its deep concern over recurring incidents of mob lynching. In what perspective should the Supreme Court’s deep concern be taken in the light of Yogi’s statement of incidents of mob lynching being “highlighted too much”? As if this was not enough, another RSS functionary Indresh Kumar said that lynching would stop if people just stopped killing cows. It is true and correct that the cows should not be killed, but again the same question as to who has given the license to the murderous crowd to play havoc with law and order? No less agonising is the situation when the murderous mob, which killed Akbar, boasted that their MLA was with them. BJP MLA Gayandeo Ahuja defended cow protectors. There are also reports, Ahuja admitted that they were his men, but added they did not kill Akbar. What an audacity of misplaced courage! Such “bold” statements suggest that in our country there is scant regard for the rule of law. Are such remarks an attempt to provide legitimacy to the violation of law with impunity? Another alleged justification of mob violence came from UP BJP leader Hari Om Pande, who attributed it to increase in Muslims population. Increase in population is an all-round phenomenon. It’s not restricted to Muslims only. Why assail Muslims? Most Muslims are made to live below poverty line, and the scourge of poverty impacts them. But should one allow murders in the name of curbing population? Incendiary statements of BJP leaders can’t reduce the magnitude of the menace of mob violence. The Supreme Court recently said: “Horrendous acts of mobocracy can’t be permitted to inundate the law of the land. Earnest action and concrete steps have to be taken to protect Cities from recurrent pattern of violence which can’t be allowed to become the new normal”. It recommended that Parliament create a “separate offence” for the crime to instil fear of law into the offenders and preserve the rule of law in a pluralistic society. It asked the Centre and states to discharge their Constitutional duty of maintaining law and order to ensure peace and protect secular ethos. Governments were duty bound to ensure rule of law in a democratic setup and treat those indulging in violence as criminals, who needed stern action. The Supreme Court further observed that the state can’t turn a deaf ear to the growing rumblings of the people. The bench of Chief Justice Dipak Misra and Justices AM Khanwilkar and DY Chandrachud quoted Woodrow Wilson, that justice “must ring with the voices of the people”. It stated in no uncertain terms that vigilante groups could only report a crime, but should be sternly punished if they took law into their hands. Even as the Supreme Court said this, much to the appreciation of meaningful people, the Alwar incident of mob violence took place. Union home minister Rajnath Singh, while replying to the no-confidence motion in Parliament, even as taking note of lynching incidents, quoted the 1984 mob violence against Sikhs in the wake of the brutal murder of Indira Gandhi. However, drawing parallel with anti-Sikh violence does not reduce the severity of the crime targeting particularly Muslims, and sometimes Dalits. 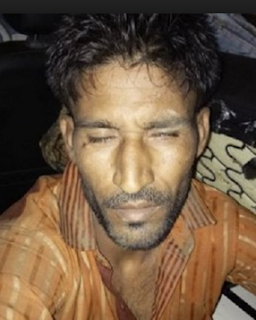 In an atmosphere of diversion and absence of strong deterrence, the Rajasthan police took the matter lightly, taking a lot of time in taking the lynching victim to the hospital – about three hours. It had its own priorities. The ugly situation of killing people in the name of cow protection even drew the ire of Shiv Sena chief Uddhav Thackeray. But notwithstanding all the vociferous dissenting voices, the billion dollars question is about the efficacy of saner voices. Incidents of mob violence continue to occur at periodic intervals. Countervailing forces have failed to restrain barbaric violence in the name of cow protection, which makes it appear that responses against cow vigilantism are cosmetic and lack the required credibility and seriousness. Why does it take a Hindu mob to kill one Muslim man?